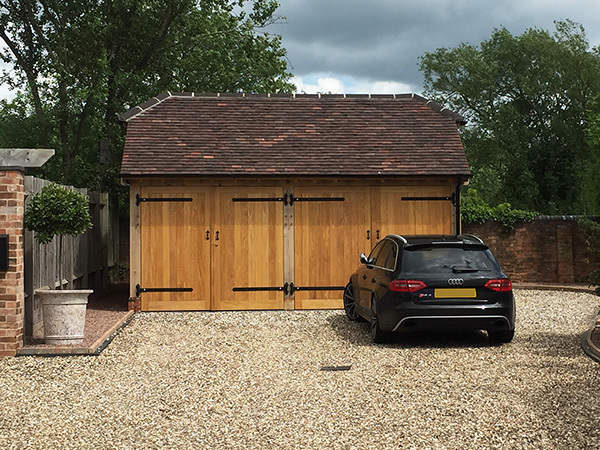 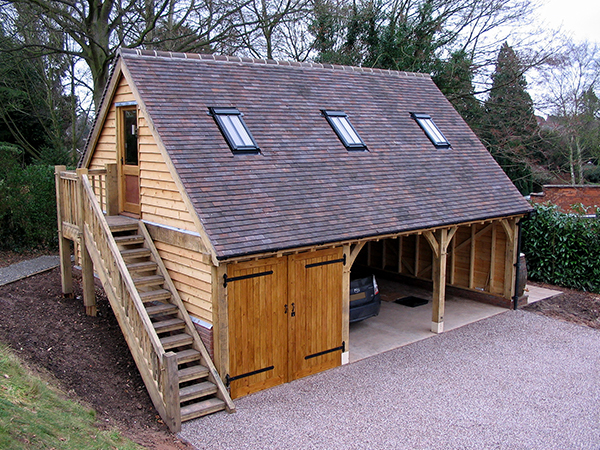 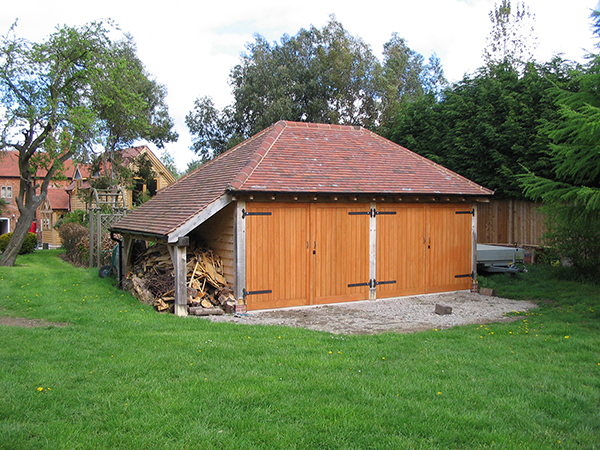 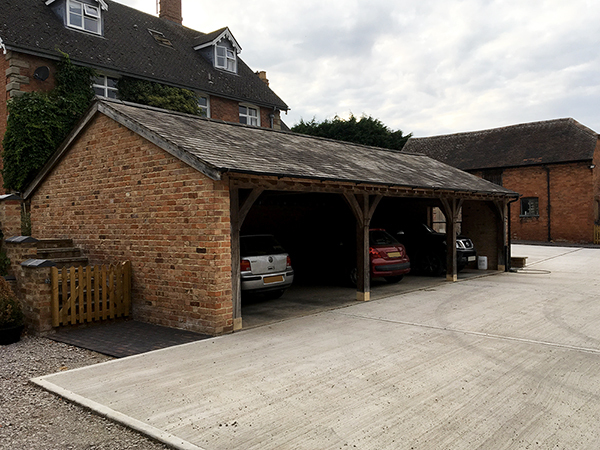 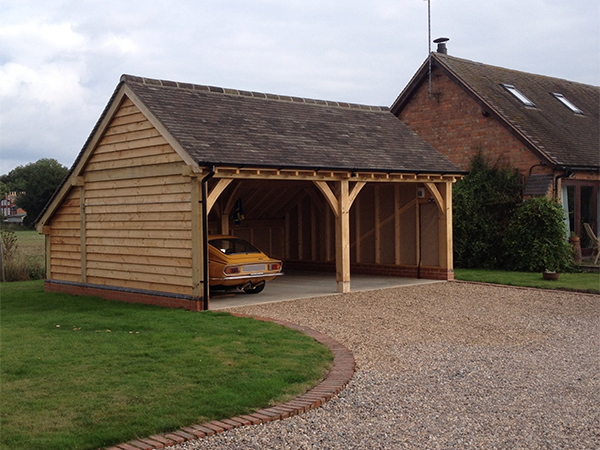 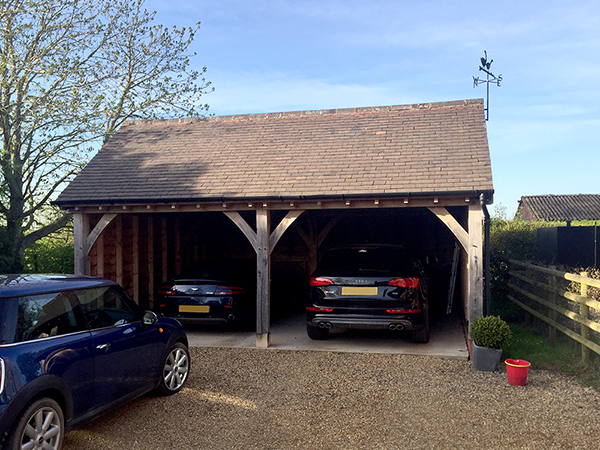 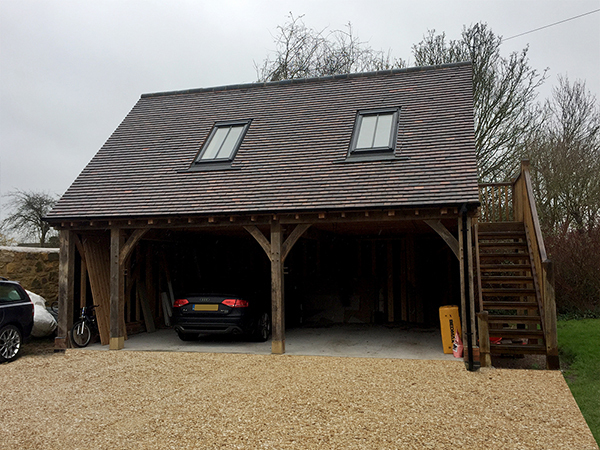 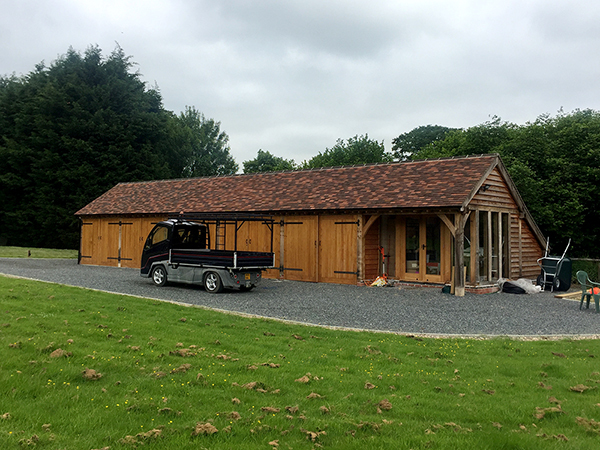 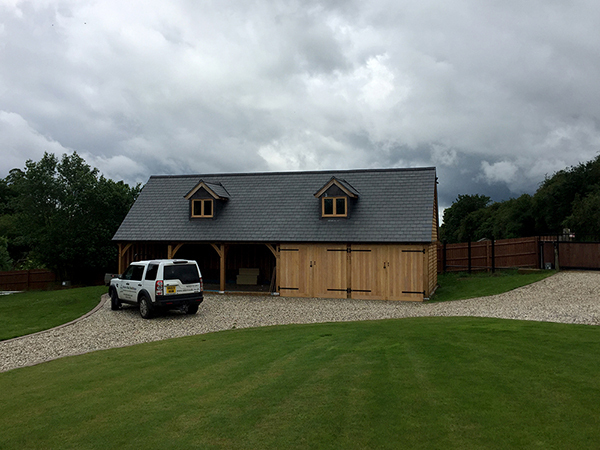 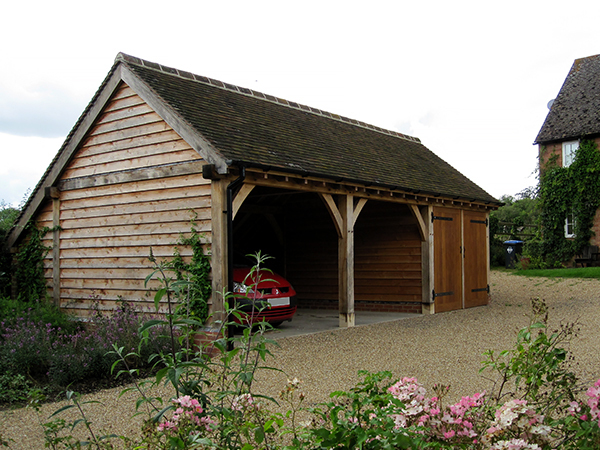 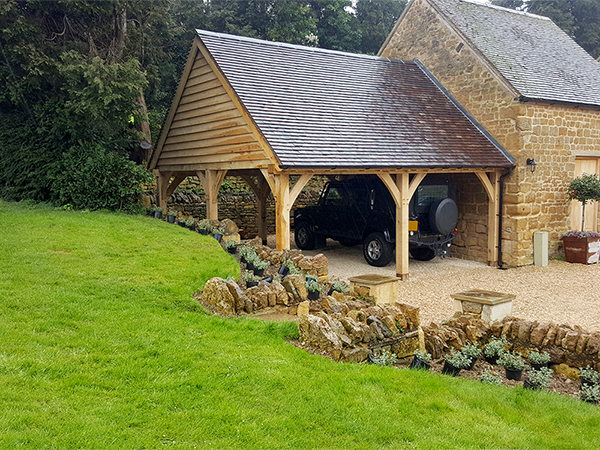 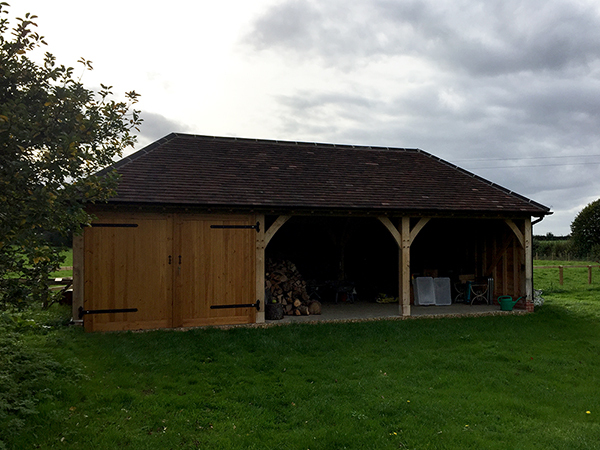 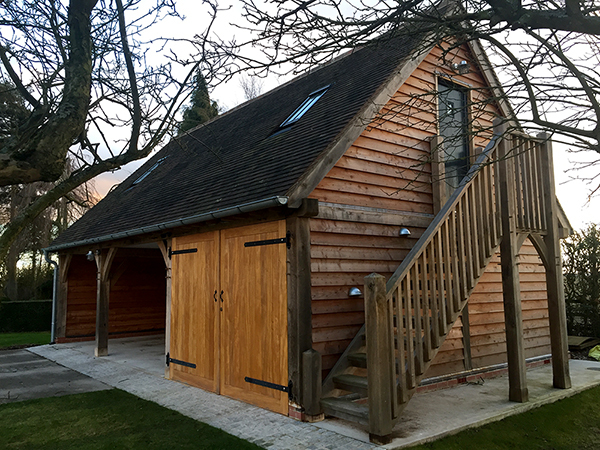 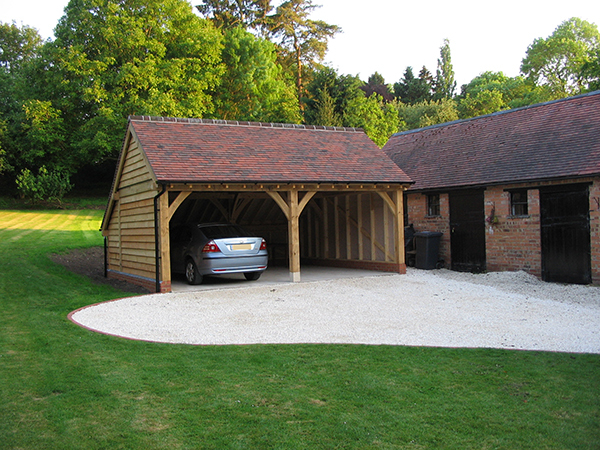 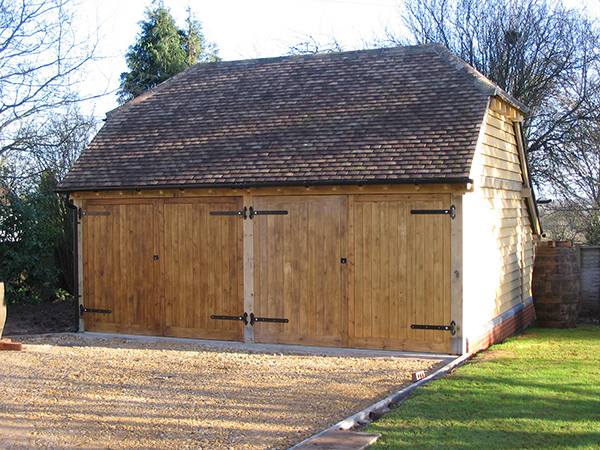 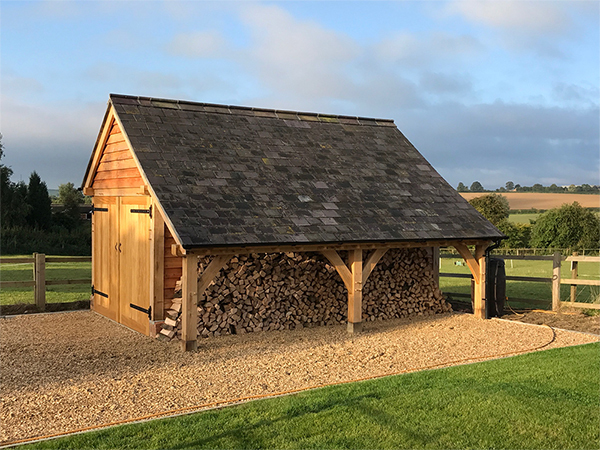 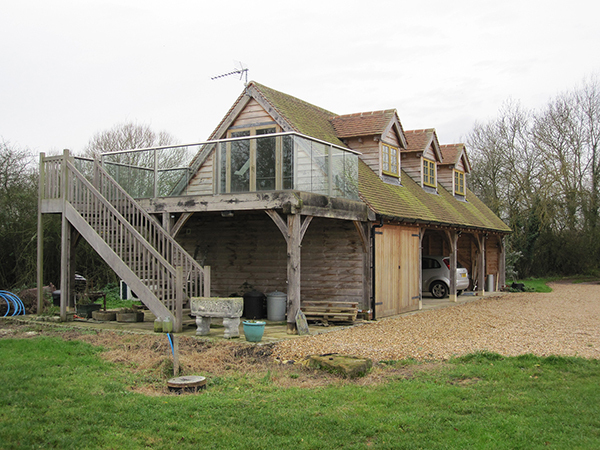 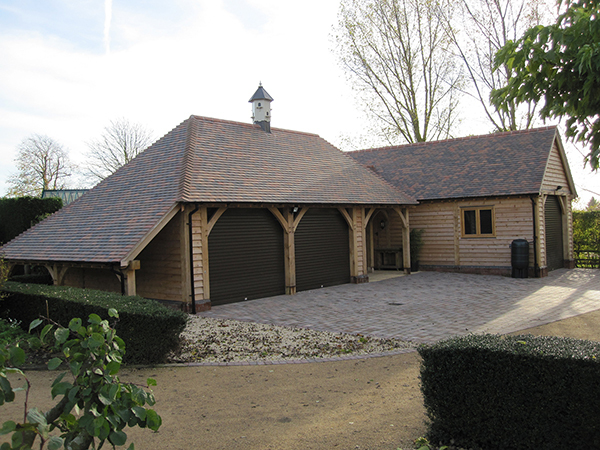 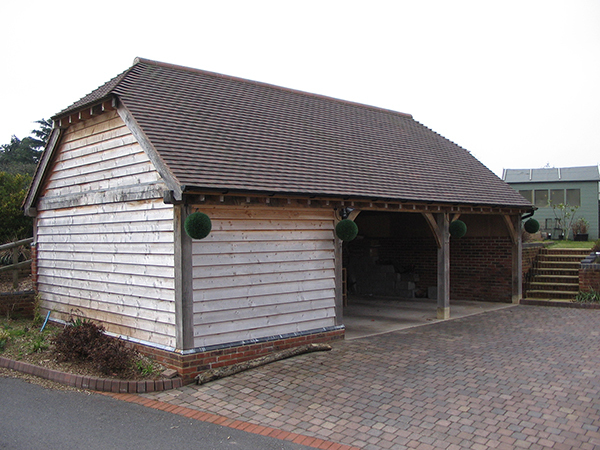 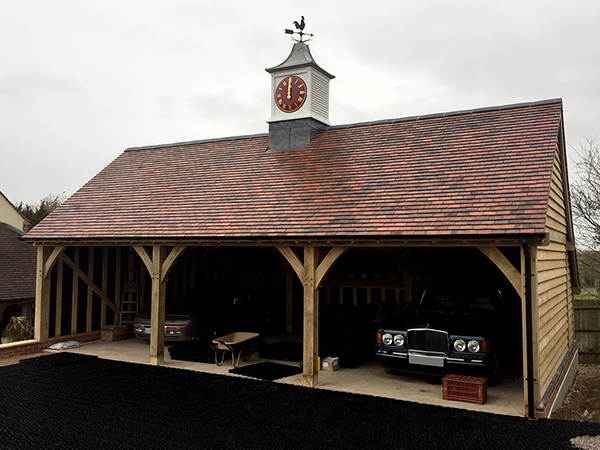 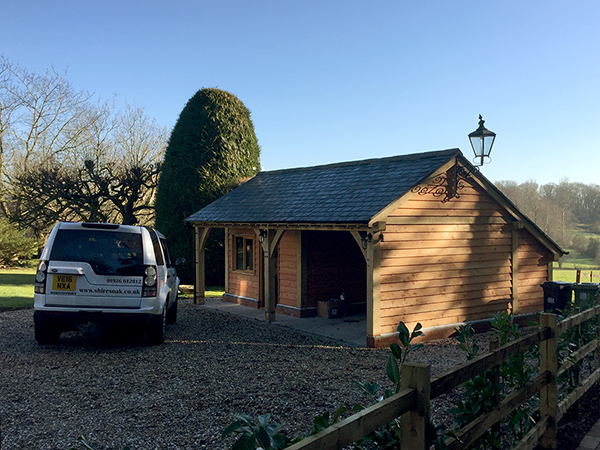 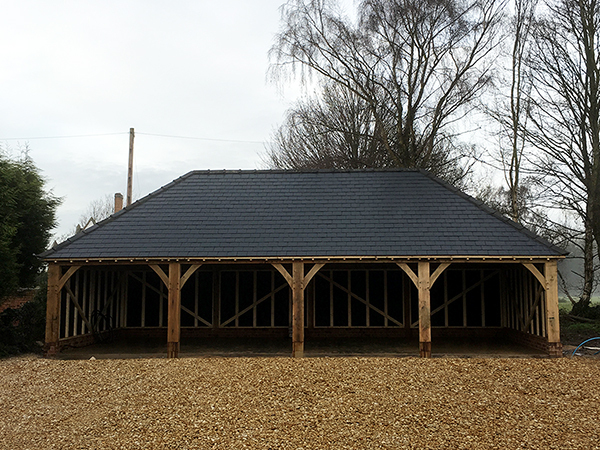 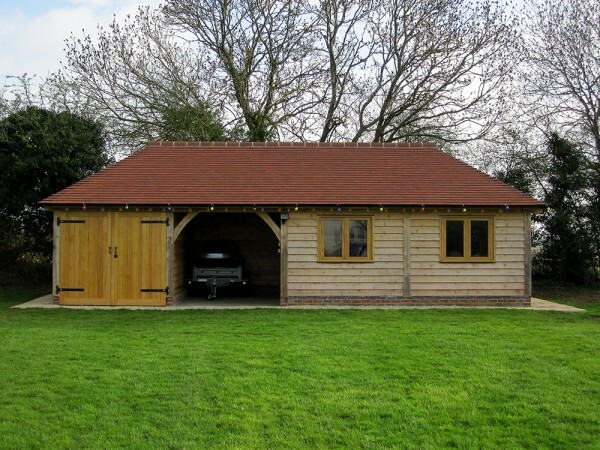 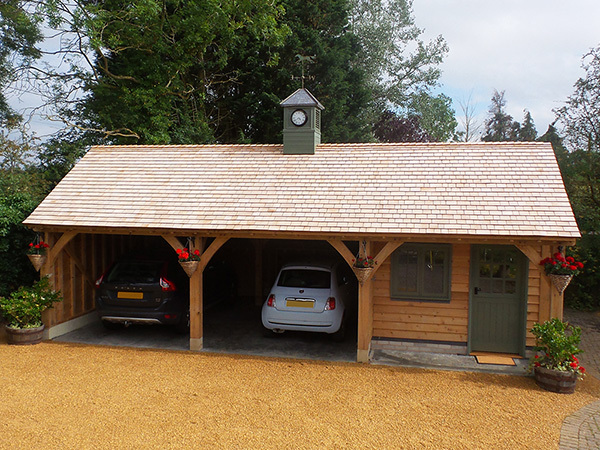 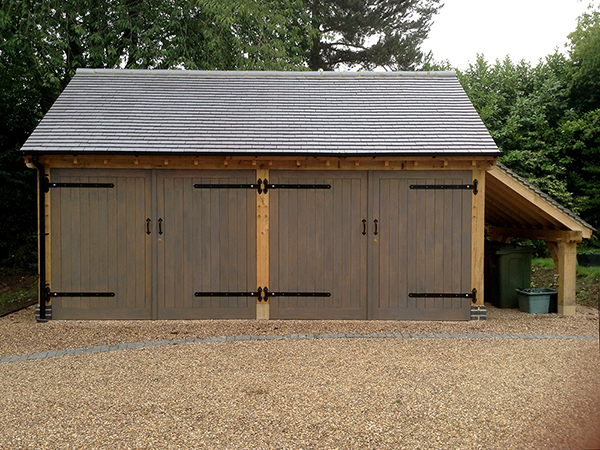 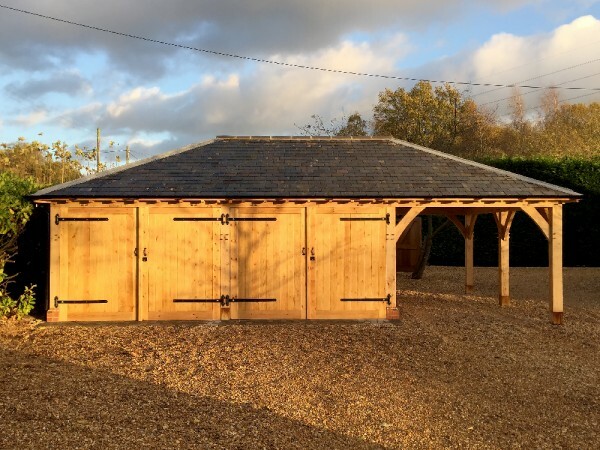 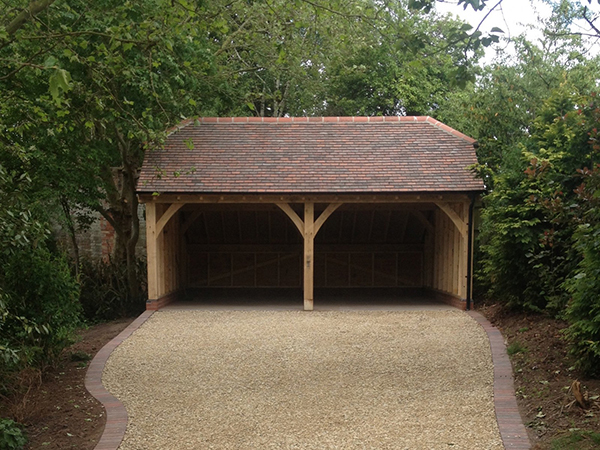 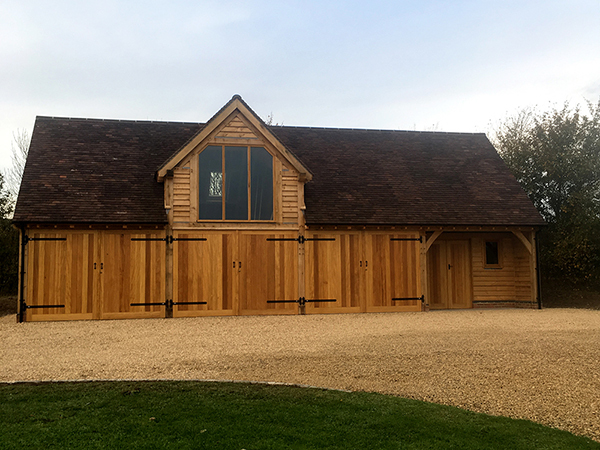 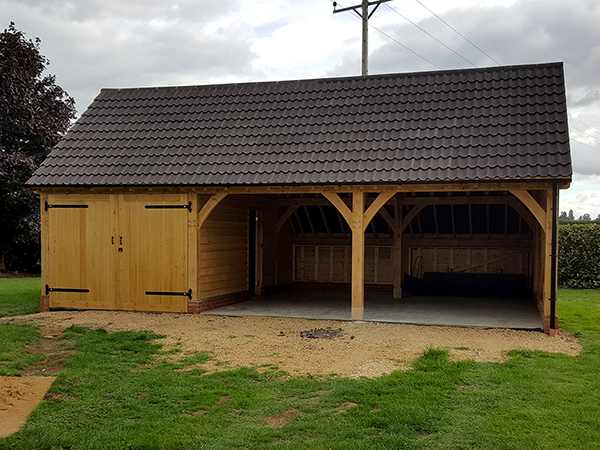 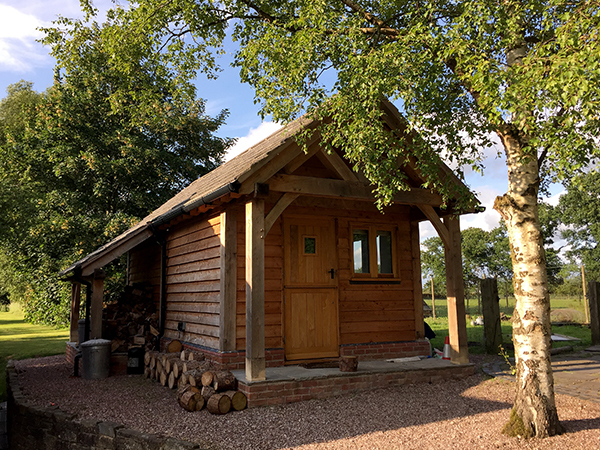 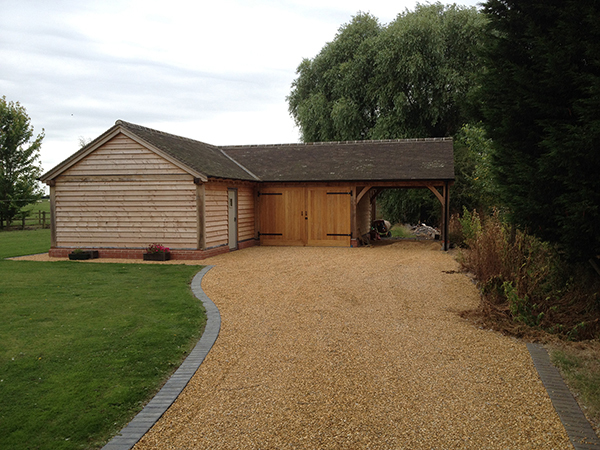 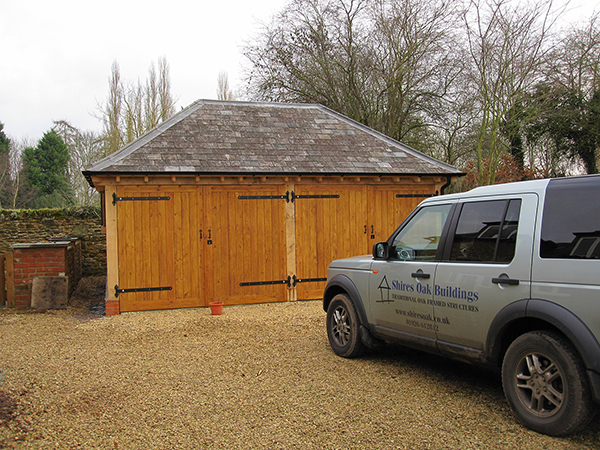 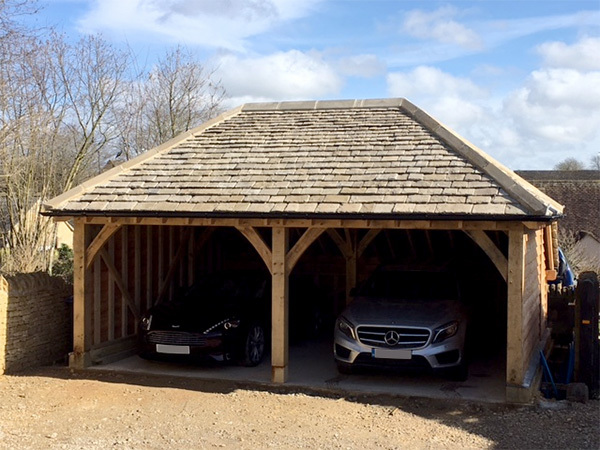 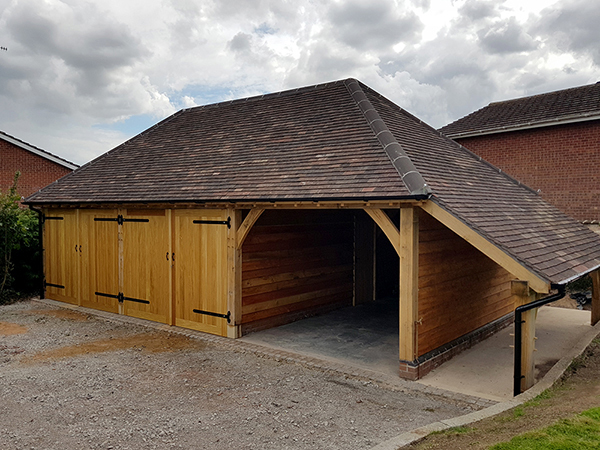 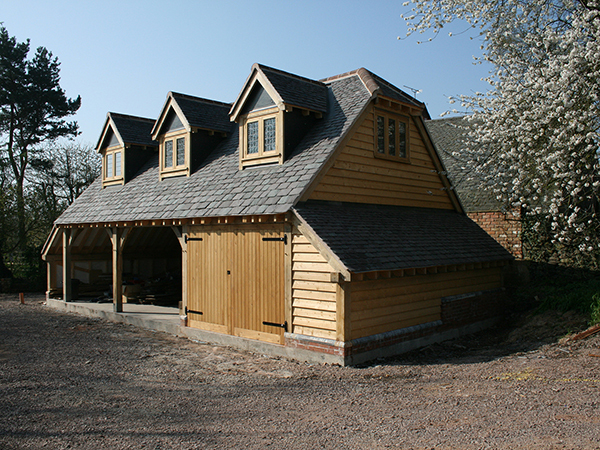 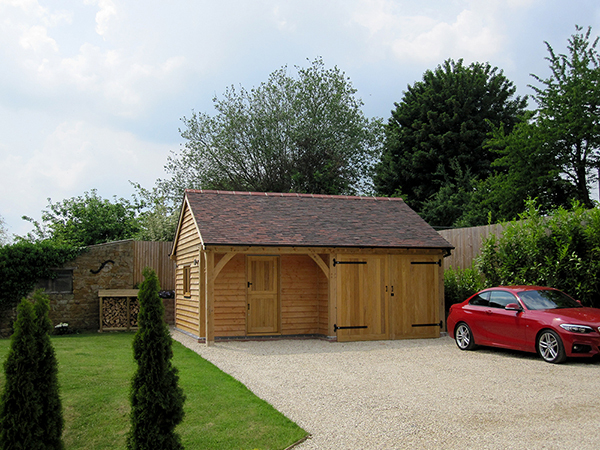 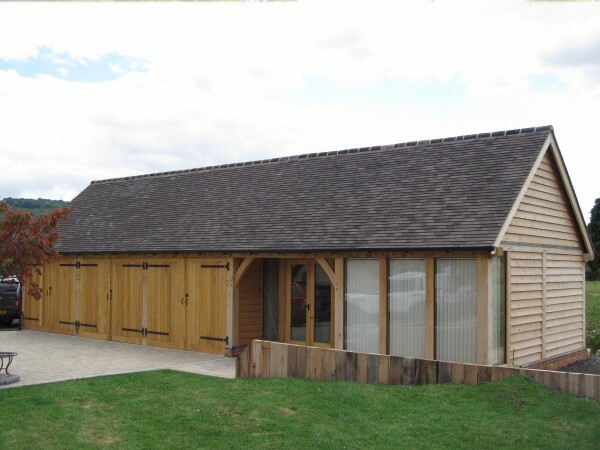 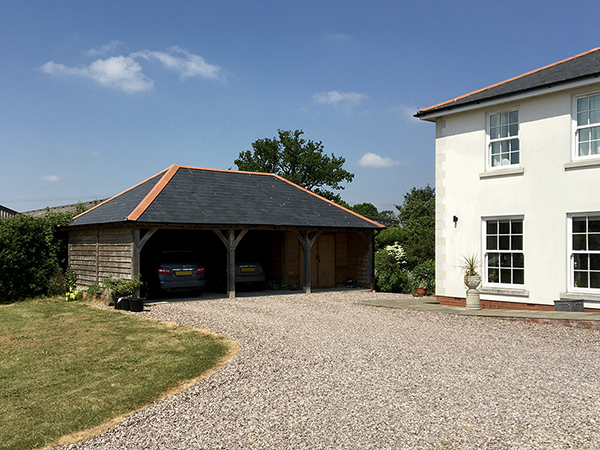 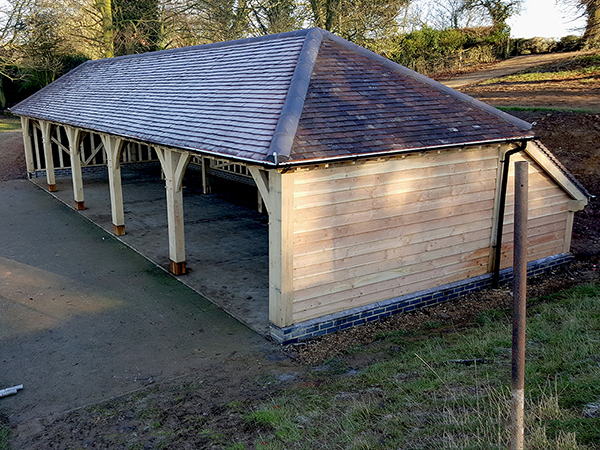 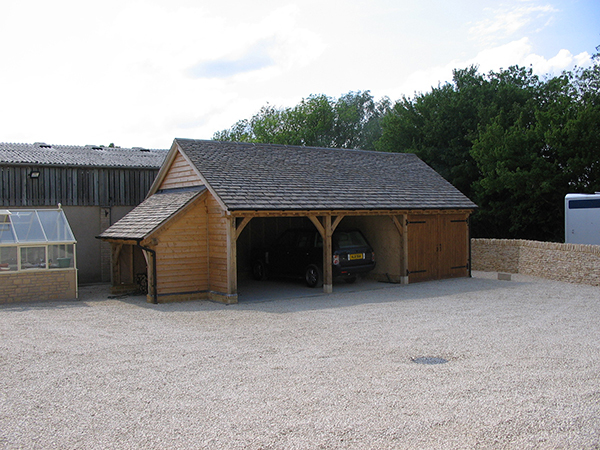 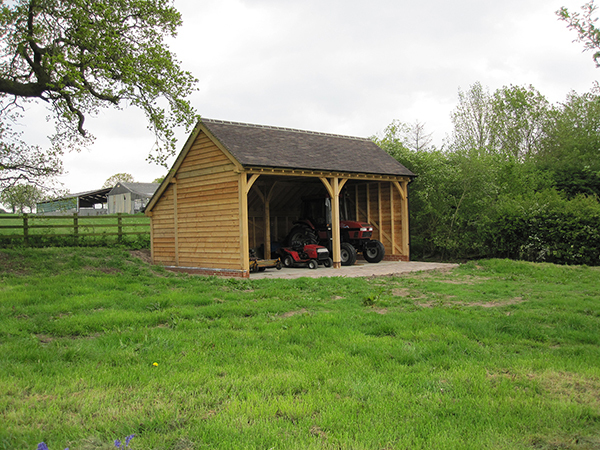 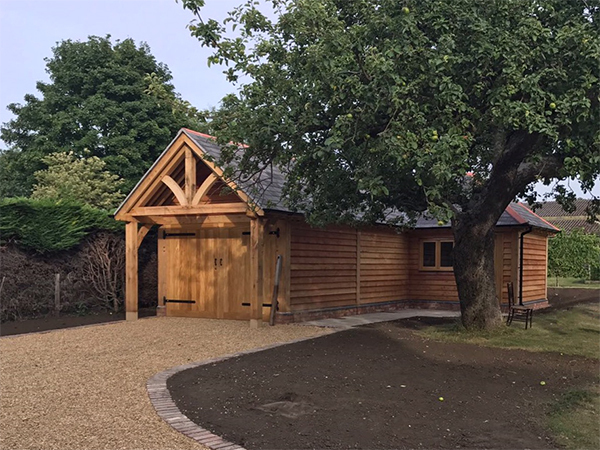 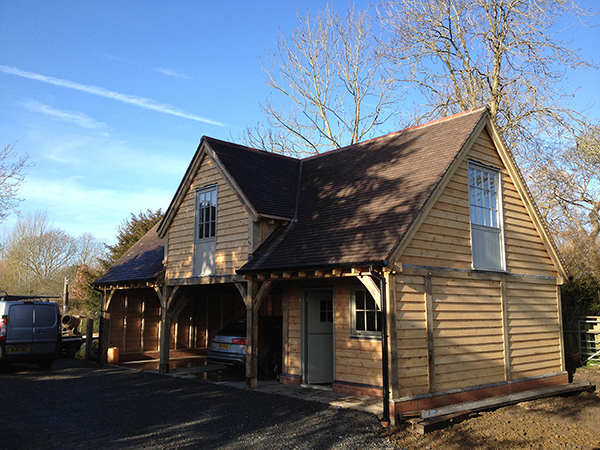 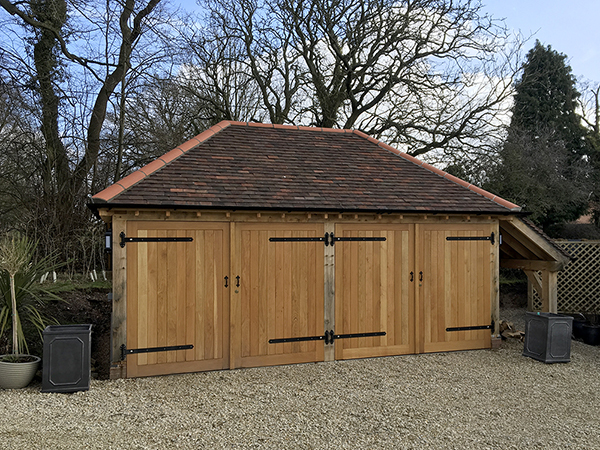 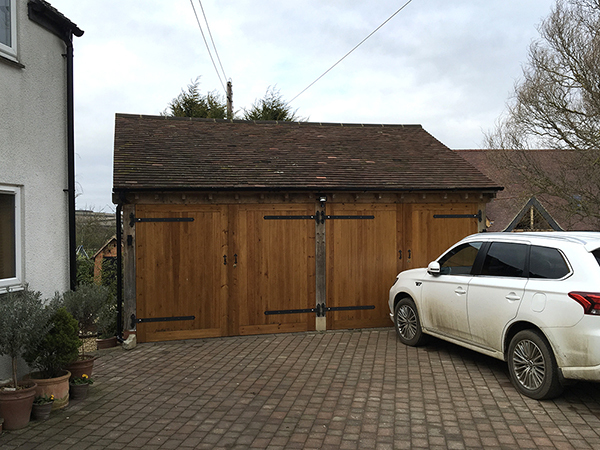 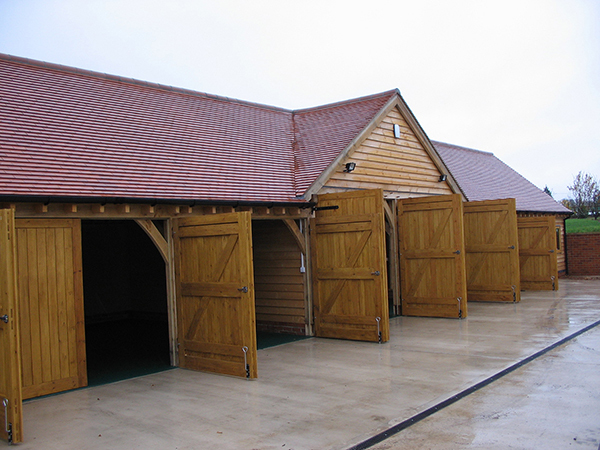 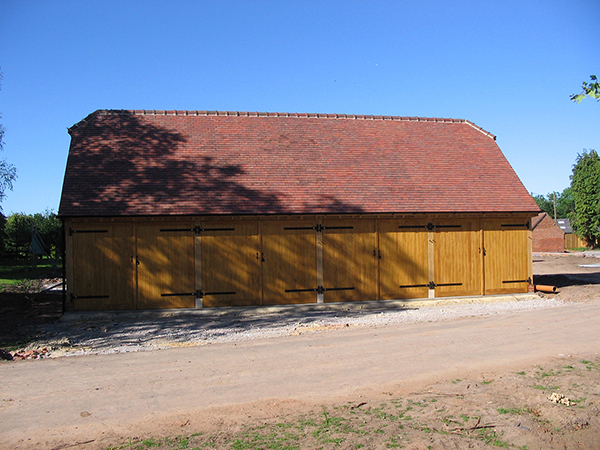 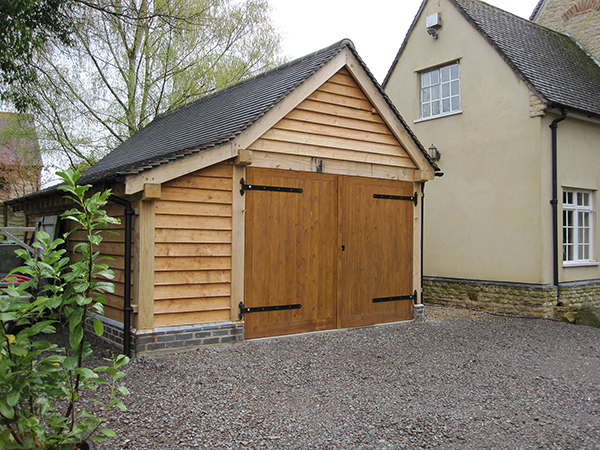 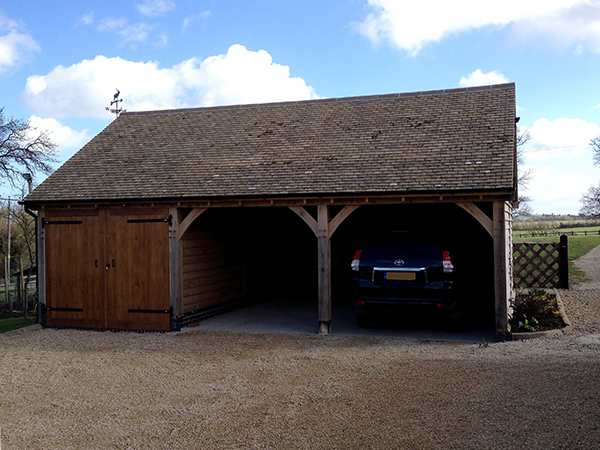 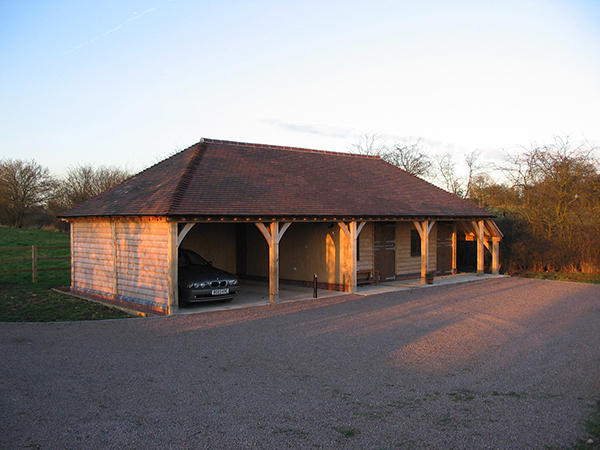 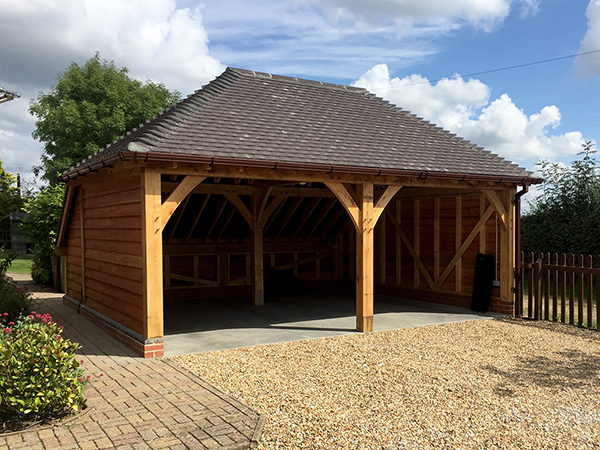 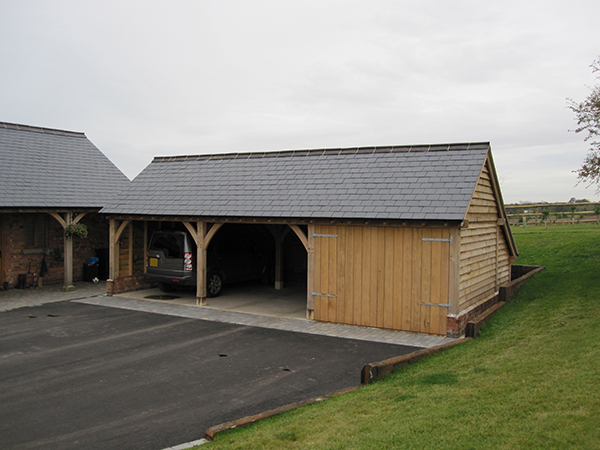 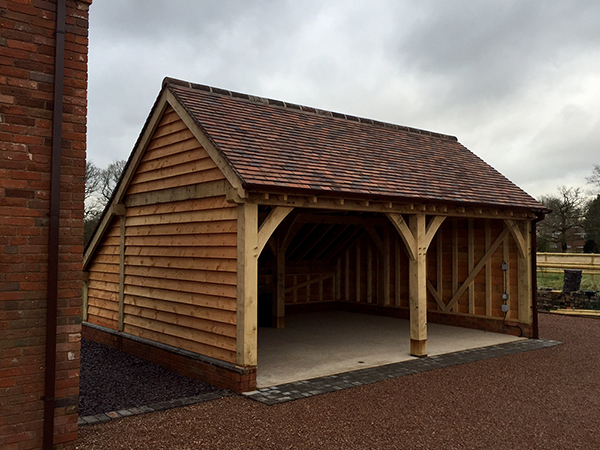 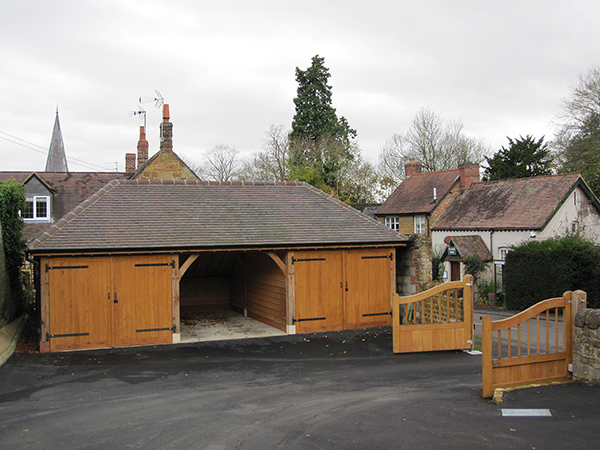 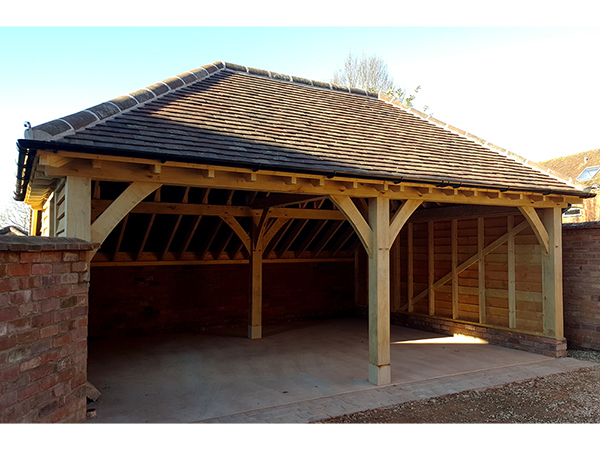 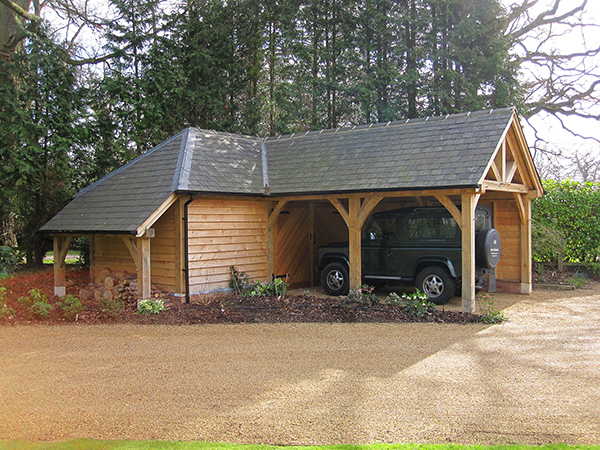 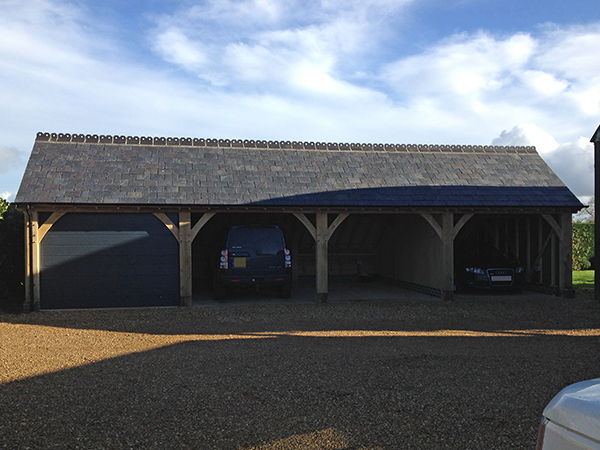 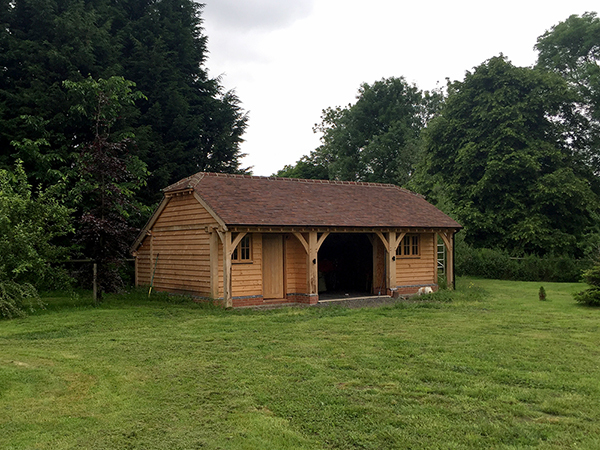 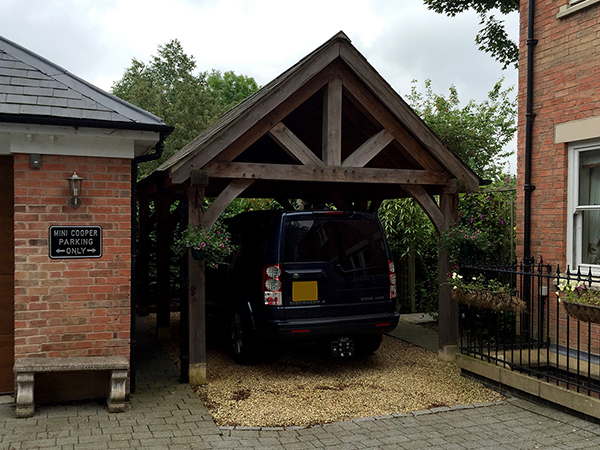 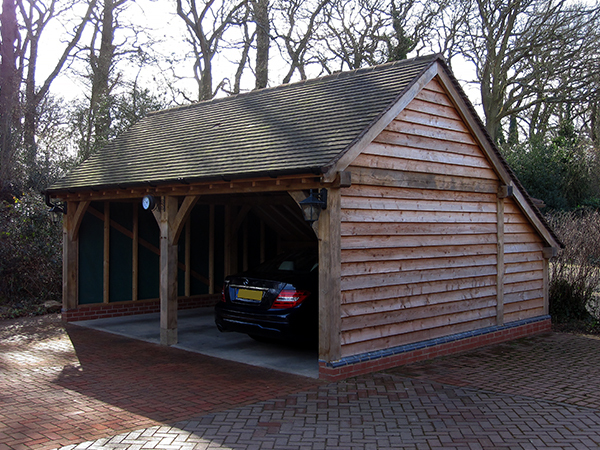 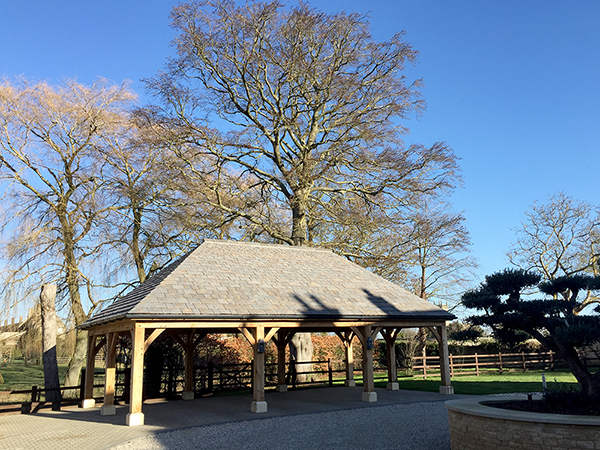 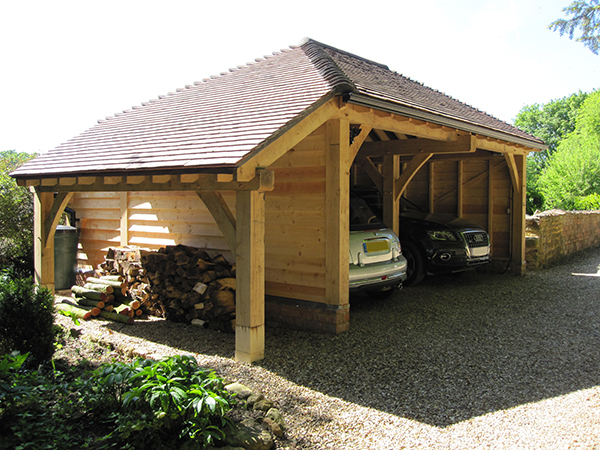 Our oak framed garages are designed along traditional lines, the frame being constructed using sturdy 7″ posts and available in a variety of styles and options – for example number of bays, single or 2 storey, roof styles, boarding options, internal or external logstores, with or without a catslide to the side or rear. 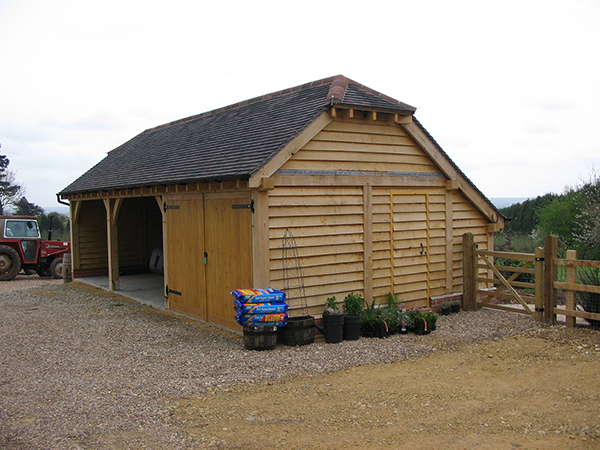 We can also supply and fit joinery items in a choice of timbers and finishes, as required. 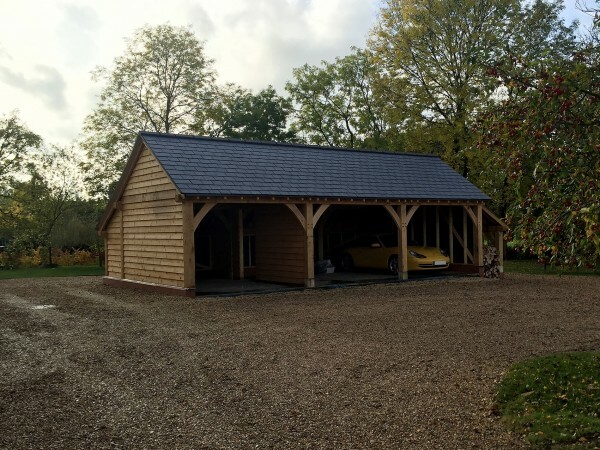 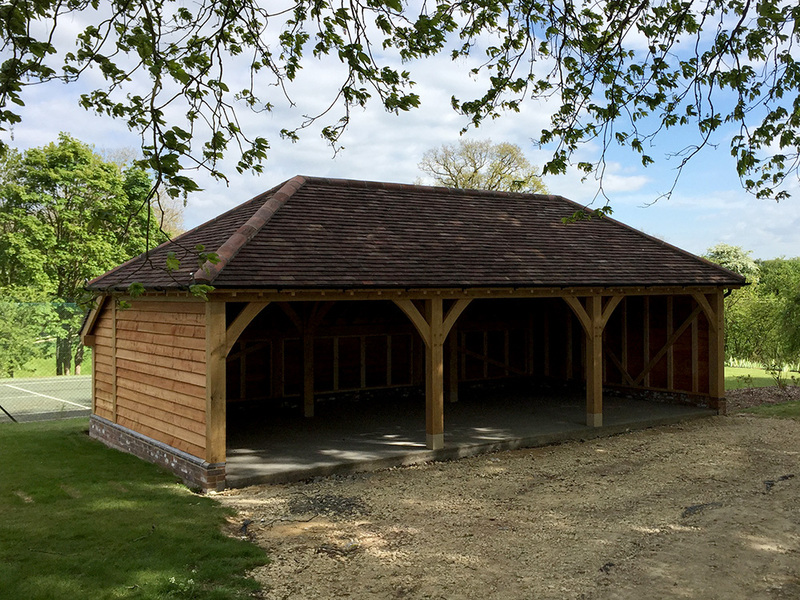 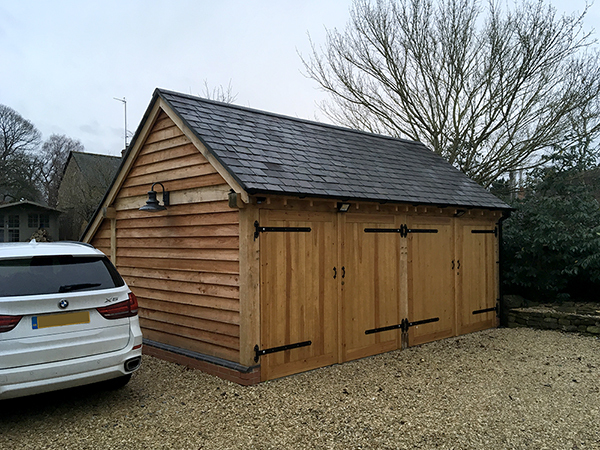 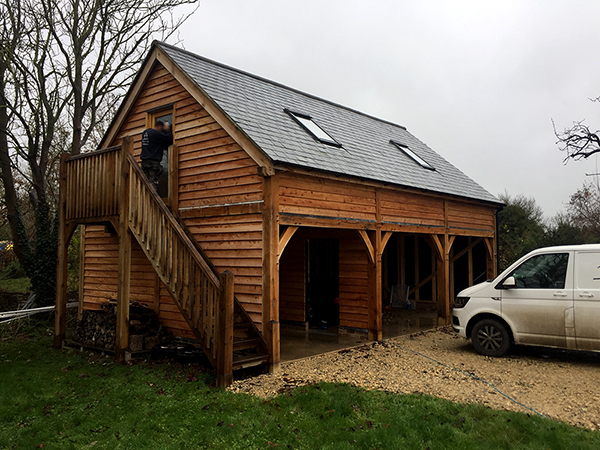 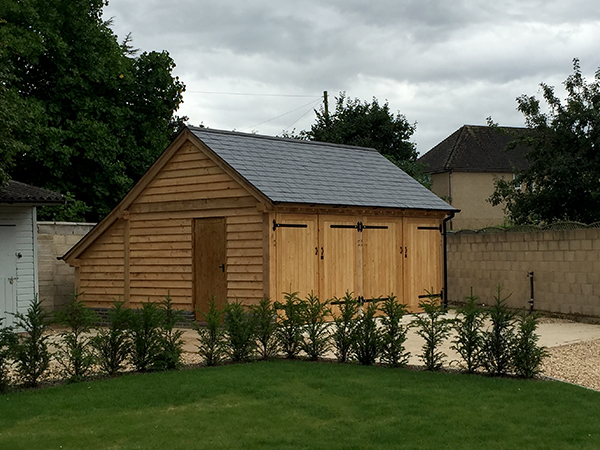 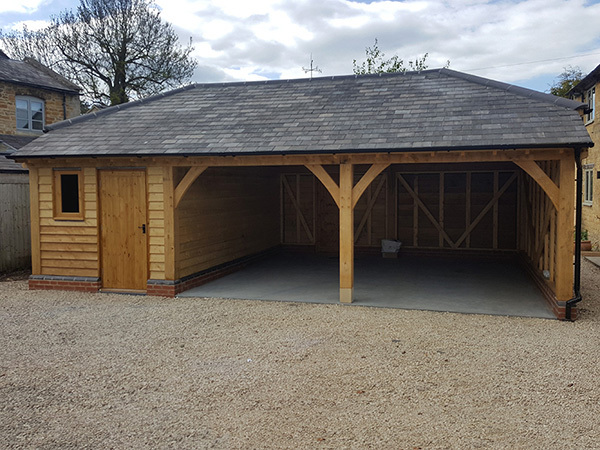 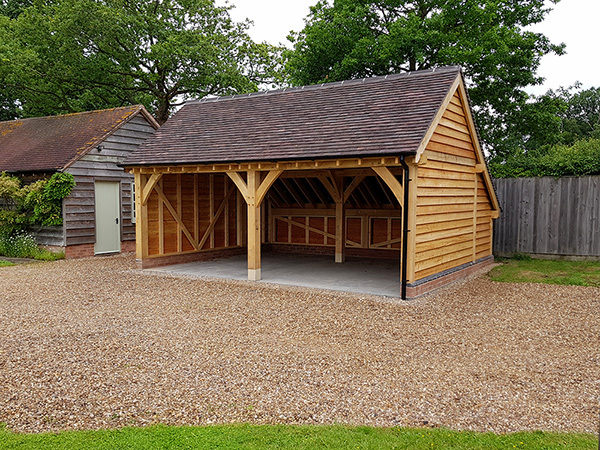 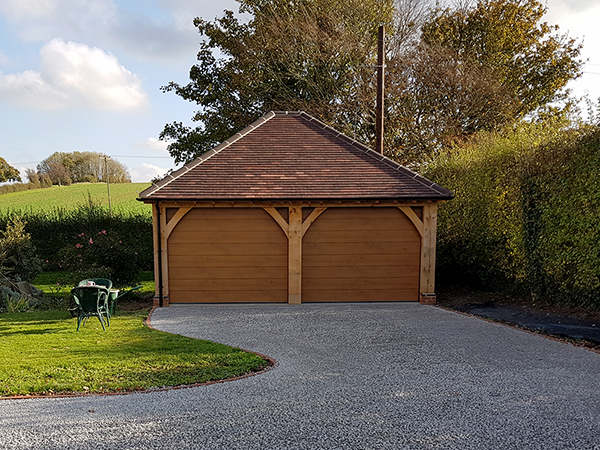 We have a standard range, but most of our work is bespoke and we can design and construct a garage to your own specification as desired.